I don’t feel like it’s controversial statement to say that in the past few years, Marvel Studios has produced a few great superhero movies, all with their own distinctive flair. Guardians of the Galaxy is defined by its iconic soundtrack and eclectic characters, Iron Man by Robert Downey Jr.’s sense of humor, and Captain America by its highly dramatic and emotionally-driven plots. It’s not uncommon for each new Marvel movie to try to distinguish itself in a sea of 17 superhero movies since Iron Man, so why has the newest Thor film garnered such high critical acclaim? No commentary on Thor: Ragnarok would be complete without an examination of its director, Taika Waititi. Taika Waititi, a forty-two year old film director/actor from New Zealand, was hired to direct Thor: Ragnarok late in 2015. Previous projects for Waititi include vampire mockumentary What We Do in the Shadows and comedic adventure film Hunt for the Wilderpeople. His particular brand of humor is dry and witty, and he prides himself on making jokes out of simple, mundane things. There has been a long-budding bromance between Waititi and Hemsworth since the 2012 release of Boy, another Waititi-directed film. Early on in the production of Ragnarok, Waititi wanted to explore Hemsworth’s comedic talent after seeing his roles in Ghostbusters and Vacation. “Sizzle reels” are commonly used in the film industry as a showcase of a director’s best work and to show the studio what their direction for the film will be. In a bold move, Waititi’s sizzle reel for Thor: Ragnarok was a montage of movies that he didn’t direct, notably including Big Trouble in Little China. Big Trouble in Little China was also a major influence for the feel of the film, and inspiration for the character of Thor was taken from the character of Jack Burton, the charismatic protagonist of Big Trouble in Little China. I believe that the feel of the film comes from the fact that likely over half of the dialogue in Ragnarok was improvised, with estimates ranging from 20% to 80%, although Waititi said 68% in an interview with entertainment.ie’s Deirdre Molumby. Waititi seems to be heavily influenced by pop culture. He instructed many crew members to watch Flash Gordon before filming, has spoken on Queen’s influence on the film, and said that every movie he’s made has been influenced by The Holy Mountain, a psychedelic Mexican film released in 1973. But, as it has been reiterated, Thor: Ragnarok is NOT a comedy. It’s just a good story told by funny people with a knack for comedic timing. Often in high budget productions such as this, the director’s personal voice gets lost, but the attention to timing of jokes and the nature of an improvised script lets Waititi’s voice shine through. As for its merit as a multi-million dollar action film, I’d say that it’s on par (if not slightly above) its MCU predecessors. It also draws from the rich history of comic book art. Jack Kirby has been cited by multiple sources as a stylistic influence for the visuals of the film. Kirby was a prominent 20th century American comic book artist who was involved in early works for both Marvel and DC Comics (although by different names at that time). His style is characteristically bold and colorful, as well as having the distinctive trait of filling negative space with more color and patterns. Gritty movies, steeped in dim lighting and heavy hues, have become a hallmark of dramatic films, and Thor: Ragnarok was a nice departure from that. Dark plots are often accompanied by darkness in visuals and a lack of levity, and it would be oversimplifying the world of comics to say that Kirby is the sole reason for this tonal shift to lightness in this movie, but he does deserve credit where it’s due. I love artsy movies and I love a good Marvel movie, and I’d say that Thor: Ragnarok is the best of both worlds. It’s an artfully done film with all the classic hallmarks of a blockbuster and a unique sense of humor that appeals to a wide audience. There is an astounding amount of pop culture that has directly and indirectly shaped this movie. While it is entirely possible to enjoy it at face value, I really feel that understanding its influences and seeing where it came from makes it an even more engrossing movie to watch. 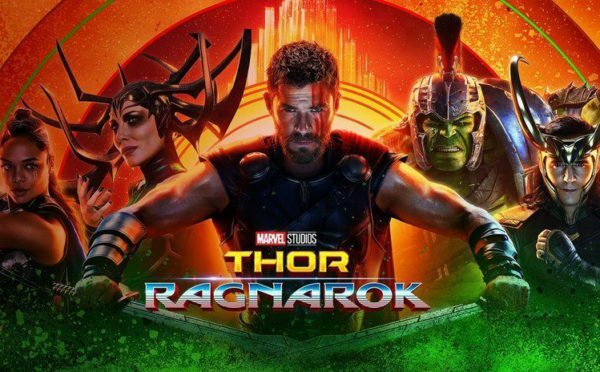 I could rehash the dozens of critical reviews I read in preparation for writing this piece, but I’ll save everyone the time: Thor: Ragnarok is a well done execution a old story, shaped by decades of comic and cinematic inspiration.